Even though the weather doesn't feel like summer, the summer food is out in a big way especially the grilling and roasting. It's on Food Network and if you walk around your neighborhood, especially on weekend, you can smell the aroma wafting in from different houses. So keeping with the summer I made my own Green Summer Salad with roasted asparagus, cucumber, avocado, red onions, and baby romaine. I've made it before for friends visiting Ann Arbor and it's turned out well each time. 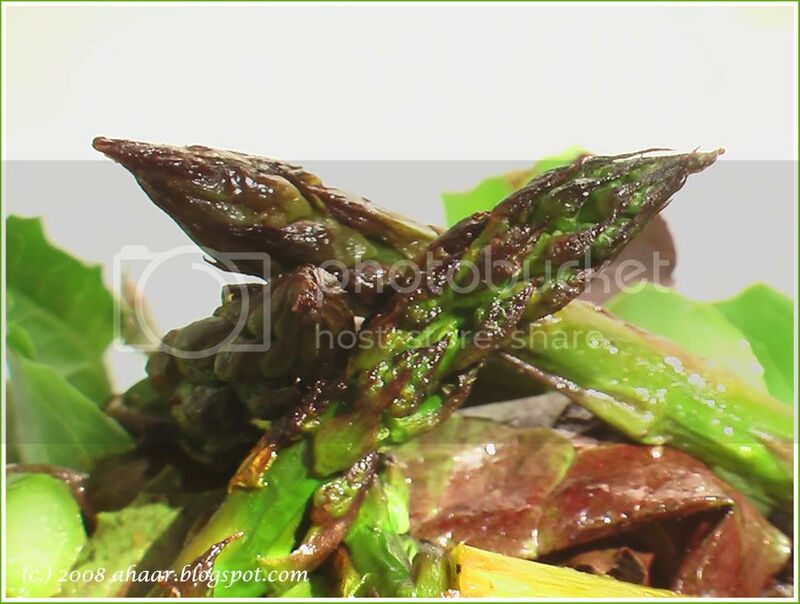 Mix the asparagus marinade to a smooth paste and mix it well with the asparagus. Let it marinade for an hour. In the meantime pre-heat the oven to 350deg C. Roast the asparagus for 9-11 min till they are done. Mix the salad greens with chopped cucumber, red onions and avocado. Avocado should be cut last, just before serving. 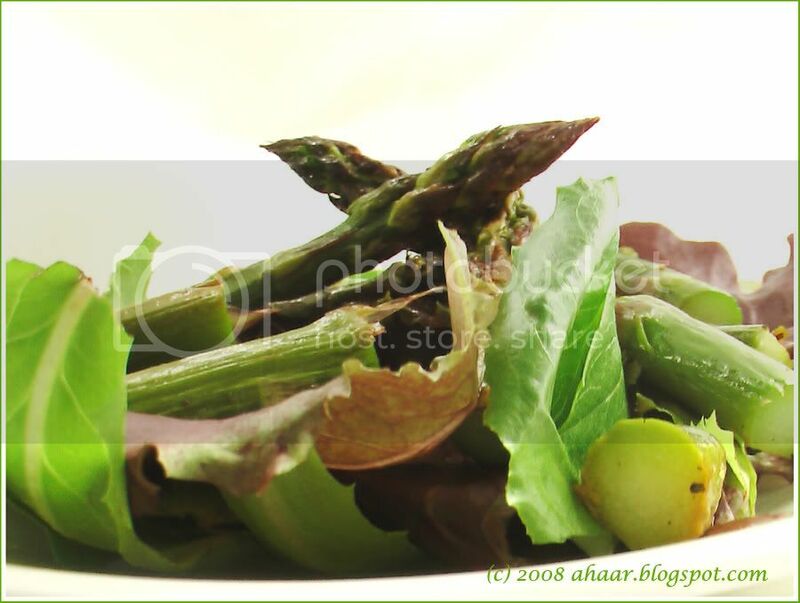 Cut the asparagus into bit site pieces and add it to the salad. Mix the salad dressing and drizzle it on the salad before serving. I like to keep it in a separate bowl and let guests serve as per their need. This salad is head to Sig at Live to Eat where she is hosting JFI:Tamarind. Thanks for hosting Sig! I also picked up some delicious recipes including a dal khichadi and bengali dal with radhuni. But before I get carried away, here's brief description of the of the food photos. The pictures are in no particular order of the trip. 1. The cocunut water was enjoyed on a hot day at Chamundi temple in Mysore. I had forgotten the clean, mild and refreshing flavor of coconut water. 2. 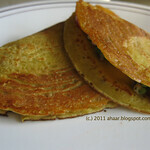 Bikanervala - I was able to indulge my spice cravings during the chat outing one evening. Along with Tokri chat (in later pic), we also had some panipuri and raj kachauri. And their aloo chaat was spicy, tangy, and ooh so yummy. 3. Andaaz-e Lucknow - The mall food was a big surprise. I was expecting a similar fare like US - generic chain food. So when someone suggested going to mall to get some food, I looked at them wondering 'why would I do that'? But I was wrong. There is so much to choose from. The Andaaz -e Lucknow picture is from Pacific Mall in East Delhi. Along with biryani, their chole bature were superb! 4. Cafe Bikaner - is a part of Bikarner House, Rajasthan Tourist department and has a cafe and a sit down restaurant. We all ended up ordering Paneer Tikks Sandwich which was delicious. I am going to try it out with whole wheat. The coffee and tea wasn't that good. On another note, we received the Yummy Blog Award from Zainab and Meedo, the two sisters who blog at Arabic Bites. 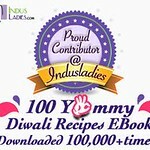 Check out their blog for delicious goodies. Thank you, it means a lot! Summer isn't complete without mangoes. So when the first mangoes came in the market last month, I picked up a couple and tried this dessert for the first time. 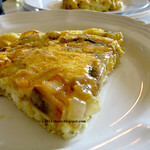 Since then, I have already made it a few times, and served it to friends with great success. The combination of cheese, mango and sugar make this dessert heavenly. Best of all this is a no bake, chilled dessert. It's best if you make it in advance as it needs to chill to get the right consistency. This works as a great dessert after a spicy meal. Enjoy. 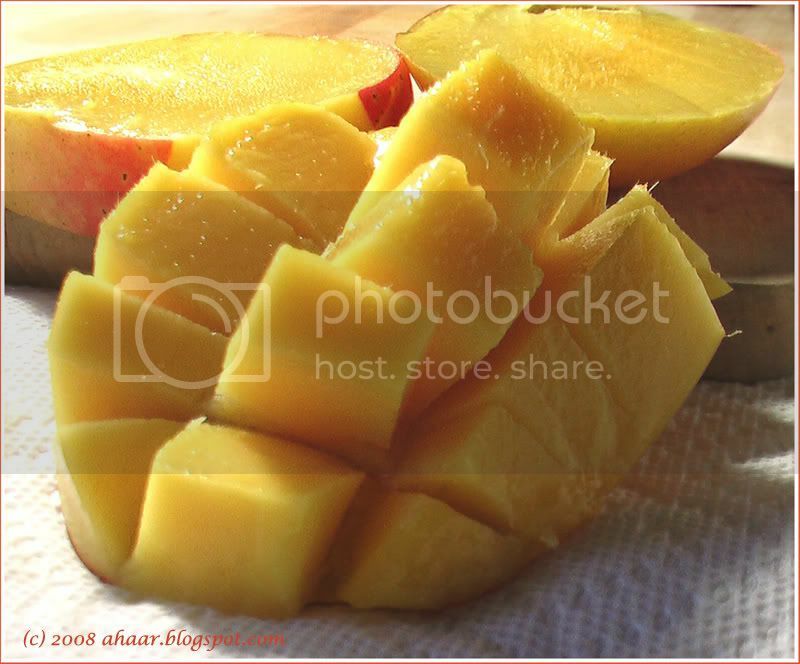 Cut one mango in small chunks to be used in the pie mix. Keep the other mango for layering the pie. Mix the heavy cream with half of the sugar till you get whipping cream. Now mix this with the mascarpone cheese and sugar. Fold it together till it blends well. Now add half can of the mango pulp, little at a time to the mix and fold it together. Blend well until the entire pulp is incorporated. Add the vanilla essence and mix the small mango pieces into the mix. Pour mixture into the graham cracker crust. 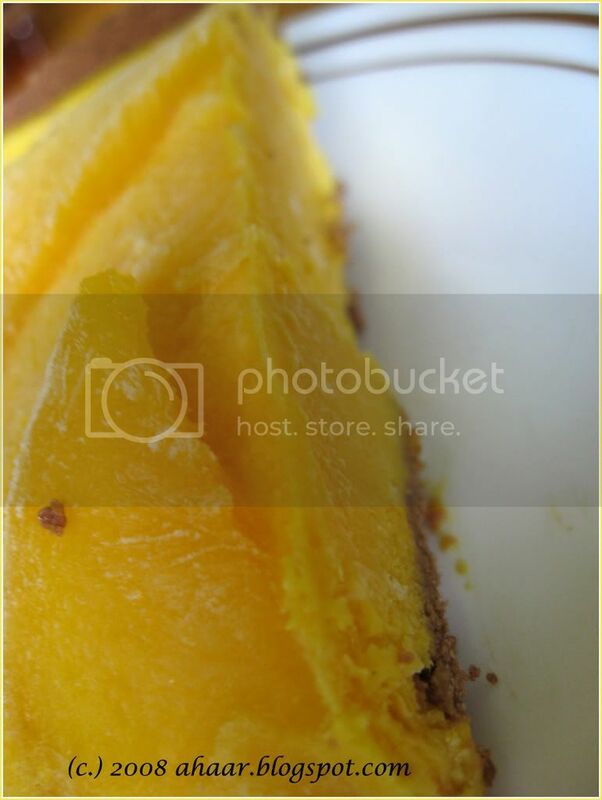 Cut the other mango into thin, long slices and put it on top of the pie. Put it in the refrigerator overnight. The first time I I didn't have enough time, so I put it in the freezer for 3-4 hours to set it and took it out 25-30 min before I had to serve and put it in the fridge. 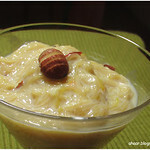 The first picture is my entry for Click:Yelow for Bri hosted by Bee and Jai at Jugalbandi and the Mango Pie is going to Monthly Mingle 23- Mango Mania hosted by Meeta at What's for Lunch, Honey? I was gone for a couple of weeks, so when I came back I headed to Ann Arbor Farmers Market this Saturday . And I wasn't disappointed. There were many new offerings. I picked up some fresh organic red chard and am making some red chard dal as I write this post. 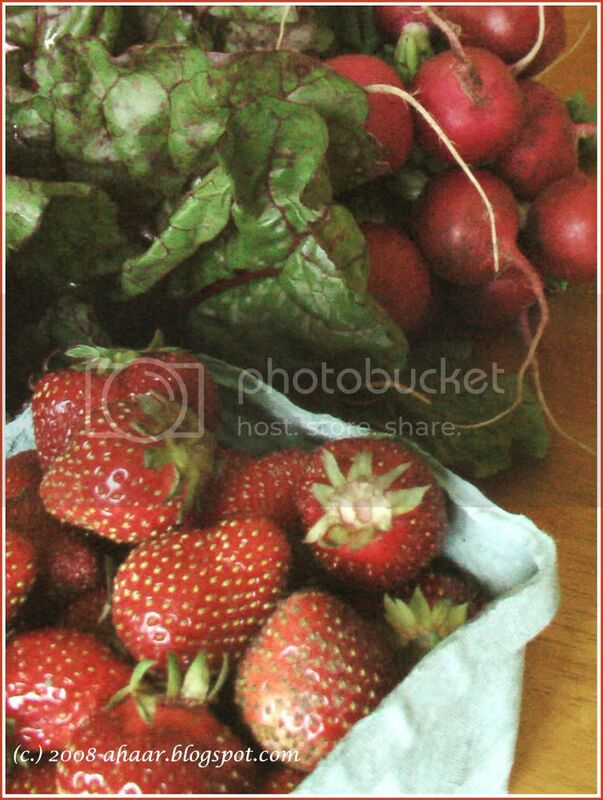 A big bunch of fresh radishes, I ate some raw and they are juicy and delicious. But the highlight is fresh strawberries. You can even see some mud on some of them, it can't get any fresher! I could hardly wait to eat them and popped some in my mouth as soon as I cleaned them. They were tart, tangy, sweet and burst of flavors. Time to look up some strawberry desserts! 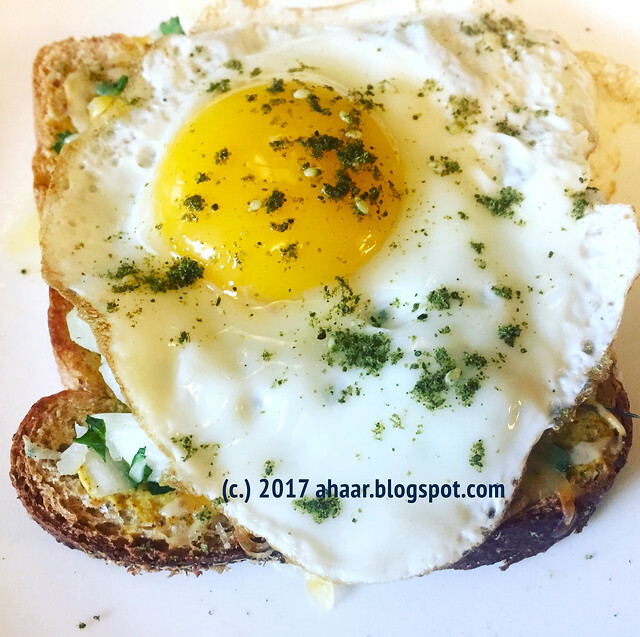 I just came back after a whirlwind traveling in India and have stories, pictures and recipes to share. As I started catching up, I saw the story and the commendable effort by bloggers raising money for Bri. 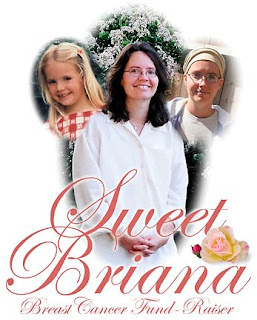 So, my stories are shelved for this post, and dedicated to Briana Brownlow of Figs With Bri. Bri was diagnosed with breast cancer two and half years ago. A mastectomy, chemotherapy and two years of relatively good health later, the cancer is back. It has metastasized to other parts of her body. And she is fighting with all the options that are available and needs funds to explore options not covered by insurance and also supplement the insurance costs for her traditional treatment . Read more about it here. For June, Jai and Bee are coloring Click: Yellow for Bri. Click is a monthly theme-based photography contest hosted by Jugalbandi. Yellow is the colour of hope and has been associated with the work of the LiveStrong Foundation. It has come to signify the fight against cancer. You can submit entries for Click and win cool prizes. There's more! You can also win raffle prizes as you help raise money for Bri. The Click entries can be viewed here. The deadline for entries is June 30, 2008. The target amount is 12,000 U.S. dollars. And 77% has been raised, so we need your help to achieve the goal. Bri deserves a chance to explore all options, even if her insurance company thinks otherwise. There are exciting prizes to win. Browse the gallery here. And contribute here or through Chip in button at any of the participating blogs. Your donation can be made securely through credit card and Pay Pal and goes directly to Bri’s account. You can support this campaign by donating the fundraiser, by participating in CLICK: the photo event, and by publicising this campaign. Don't wait!